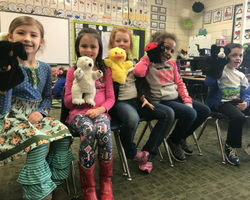 Mrs. Cantwell's class uses puppets to support social-emotional development with support of a Robert P. Bell Education Grant. Teachers often have instructional ideas they would like to implement in their classrooms. Unfortunately, a lack of funds can prevent them from moving forward. The Robert P. Bell Education Grants are awarded to teachers with innovative ideas, programs, or projects that are related to a classroom unit or lesson, and are designed to stimulate learning in their students. Grants range in size from $50 - $450. Grants are available to K-12 teachers, counselors, special needs teachers and itinerant teachers working in schools in Delaware County. The Robert P. Bell Education Grants Committee and the Board of Directors review applications four times during the academic year. Applications are submitted in the online grants system. Grants are awarded from $50-$450. Recommendations for partial funding may be made. If awarded, grant money is sent directly to the applicant's school system within 30 days of the deadline. Teachers will need to follow their school system's procedures for purchases or reimbursements. A flyer for the program is available here. Creative and innovative projects can be focused in any subject area. While preference is given to projects implemented during the regular school day, extracurricular projects will be considered if they are curriculum-based. Items such as transportation, field trips, speaker fees, and classroom equipment/furniture are not funded. Funding for items such as book sets, e-books, videos, kits, cameras, electronics, and computer equipment will not be considered unless they are an integral part of a lesson. Applications are submitted in the online grants system. Applicants that are new to the system will have to create an account using these instructions. Application deadlines are September 1, November 1, February 1, and April 1. Applications are due by midnight on the day of the deadlines. Teachers may submit applications in the April cycle for projects beginning in the following academic year. Applications are available 30 days prior to each deadline. There is no limit on the number of applications a teacher can may submit in each grant cycle or in a year. A separate application should be submitted for each project. Applicants should account for approximately 60 or more days between deadline and start of project to account for administration. A detailed project budget is required for each application. A budget template is provided with the online application. Applicants are notified of decisions no later than 21 days after the deadline. If awarded, grant money is sent directly to the applicant’s school system within 30 days of the deadline. Teachers will need to follow their school system’s procedures for purchases or reimbursements. Each grant awarded will be evaluated and a post-grant report is required for each grant received. A post-grant report, including financial/expenditure information, is required for the applicant to remain in good standing and be eligible for future grant awards. All overdue post-grant reports must be received before the due date of any current grant applications for the committee to review the current application. A committee composed of one teacher from each of the following school corporations has been formed to establish the guidelines for applications, review proposals, and make Bell Grant Awards. The following teachers were appointed by their superintendents to serve on the Robert P. Bell Education Committee. 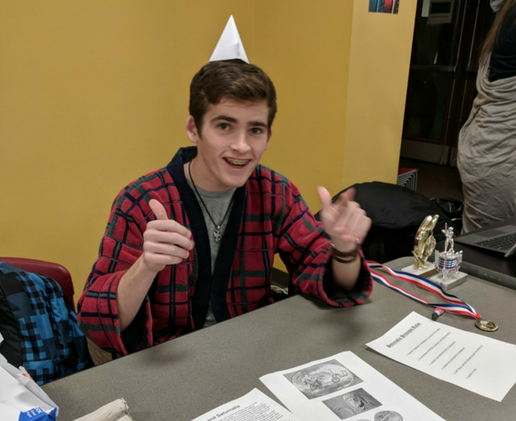 A high school student poses while working on a project funded by a Robert. P. Bell Education Grant. Deadlines are quarterly through the academic year. Applicants should take into consideration the following dates when planning for their projects.